As I write a tech blog, Purvi and her mother both requested me to post about this. Here is an interview that I did with Ms. Busa in the hospital where she is currently undergoing chemotherapy. Another disturbing fact : 5 people in Purvi's building have developed cancer in the last 5 years. 2 people have passed away and another case is terminal. The time period for these cases coming up, co-incides with the installation of the tower next door. Co-incidence, or co-relation? Purvi got a test done of the radiation levels in her house, and the results show that they are through the roof. Three rooms in her house are in the danger zone, while two others are in the 'caution' zone. 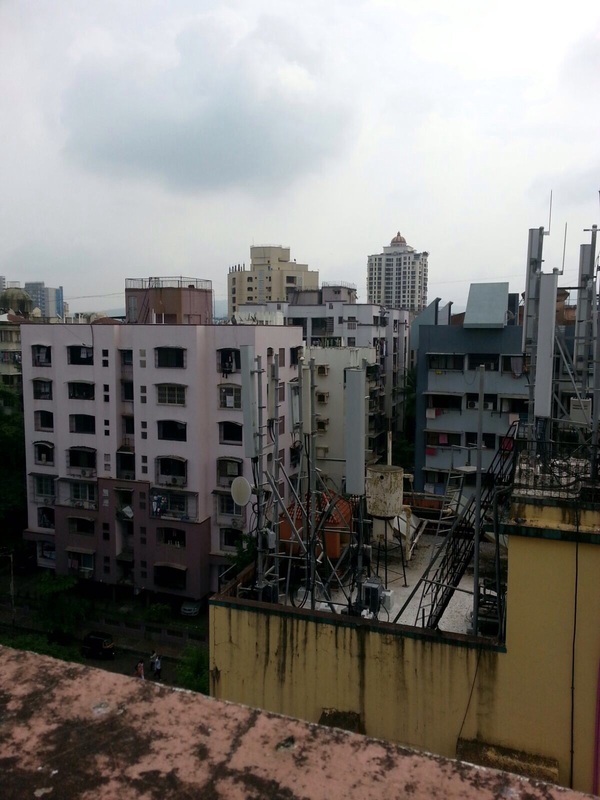 Her society is now petitioning to get the site removed - a difficult task as the neighbour whose building houses the site is making a handsome rental amount from the telcos and is unwilling to forego it. 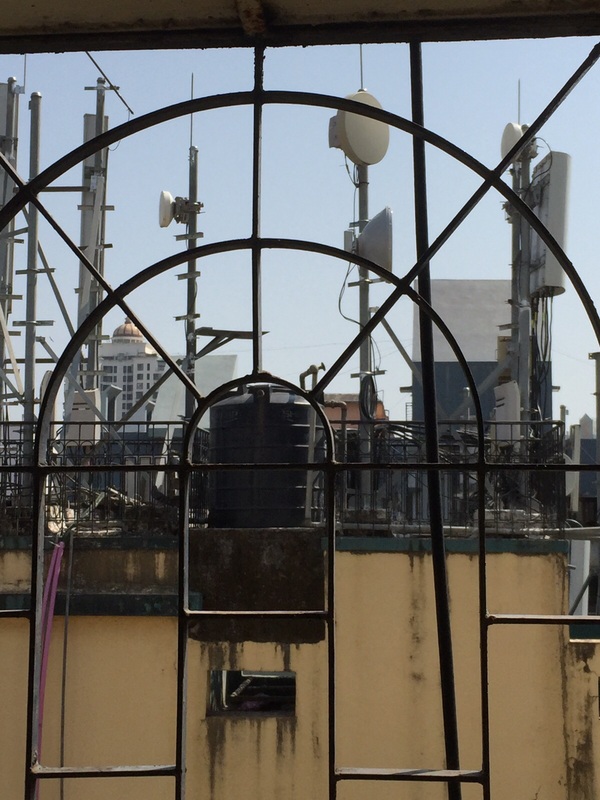 With 900 million-plus cellular subscriptions, and 600 million+ active users in India, it's not surprising that India has more than 15 lakh cellphone towers or sites, with a high concentration in urban areas. Cellphone towers are usually mounted at a height (upto 200 feet) to ensure that the antennae can cover the surrounding area. 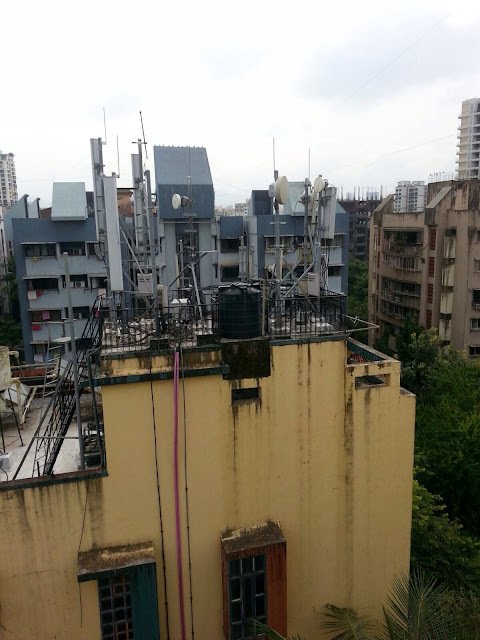 The word tower is a misnomer - in Mumbai you will see antennae along with electronic communication equipment, placed on the terraces of building, to form a ''cellphone site." Mobile phones communicate with these sites using RF (Radiofrequency) waves, a form of energy in the electromagnetic spectrum between FM and Microwaves. There is extremely scanty credible scientific evidence published online, linking radiation from cellphone towers to cancer. However, there are scattered reports that begin to make sense when we put them together. NY Times has published a report on a 'meta study' combining hundreds of other studies - which confirmed that RF waves from cellphones can damage your DNA. For example, just using your phone 20 minutes everyday increased the risk threefold, for a certain type of tumor. Finnish scientist Dariusz Leszczynski, who is one of the members of the expert committee of IARC, has claimed that long term exposure to cellphones and cell tower radiation causes increased risk of brain cancer. 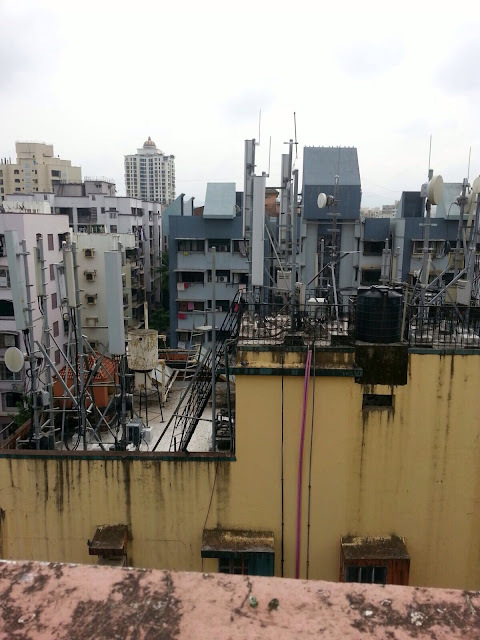 In 2013, the Delhi High Court issued notice to the central and city government on a plea seeking removal of cellphone towers from the vicinity of schools and residential areas. The petitioner claimed that cellphone radiation from a tower within 20 metres from his house caused multiple illnesses in his household, including death of his son from cancer in 2011. There are similar cases in Jaipur and Mumbai too, in the past 5 years. In the Busa's case, the windows of the house face the antennae directly - in fact, face multiple antennae, which explains why the radiation levels exceed limits and could indeed have adverse effects on health. If you live in a building with a cellphone tower nearby or in your line of sight, you need to act urgently to get it removed. You can petition your local Municipal office, approach your corporator/MLA/MP and also write in to any leading newspaper. If you are active in social media, Tweet to TRAI, DoT, The Ministry of Health and telcos as well. You can petition the Government and DoT to evolve more stringent guidelines for cellphone sites, along the lines of 'precautionary principles' - giving a more-than-safe margin to residential areas nearby. Whenever a telco erects a tower, it should be mandatory for them to test and publish the results on emissions. Also, re-testing should be done at a specified interval, especially in cities like Mumbai where construction is rampant and new residential areas could fall into a danger zone. We also need to petition more independent and credible bodies to conduct research on buildings in the vicinity of cellphone towers to gather results on long term, continuous exposure to RF Waves. Such research can be the basis of future policy change. The case of cellphone radiation seems to warrant an approach based on what WHO calls 'the precautionary principle'. Put simply, in a world where technology development outpaces scientific knowledge and evidence collection, we cannot always wait for conclusive and concrete proof that some aspect of technology is life threatening or hazardous. For example, there may be scanty proof that cellphone radiation causes cancer. But we ought to take ample precautions to protect what WHO sums up as 'public health, the environment and the future of our children.' Let's protect health by ensuring that telecom companies take responsibility and ownership for positioning towers properly and ascertaining that radiation does not affect neighbouring areas.